Are you considering adding some new life to your home? Then you may want to introduce some elements to your home using the current design trends. Even though some of the trendiest contemporary space feel out of reach, there are several easy techniques that you might take advantage of to renovate a home that won&apos;t necessarily require you to demolish your house completely. Below are some added embellishments that can make your home look a little more modern. Avant-garde Furniture - Large pieces of furniture will always draw a lot of attention to themselves, so if you want to change how a room looks, an excellent place to start is merely replacing the furniture. Furniture pieces that shun the traditional and regular sofa and chair shape always have a more updated and give an almost futuristic vibe. If erring on the side of safety, do not do anything too bold. You also might want to think about some of the more minimalist and modern ways people are using furniture. At the moment, neutrals seem to be somewhat popular, but mixing them with brightly colored single accent pieces can help a room shine even more. Symmetrical Light Fixtures - Another way to add a more modern look to your home is to think about changing the lighting fixtures. An elaborate lighting fixture can undoubtedly change the way any room looks. Its stylish chrome design and industrial-style exposed bulbs make it quite the eye-grabber. A new lighting fixture will go a long way in setting the general atmosphere for a more modern look. You can opt to go for chrome or sleek metallic pieces. Lighting fixtures are also rather easy to change, but they make it look like you did some major hardware renovations in your space. Change the Wall Art - Changing the art on your walls is an easy way to modernize a space without doing anything too extreme. Having a large-scale piece of art can produce a visual centerpiece, so changing or adding new items can help set a new tone in the room. A good piece of modern art can go beyond the age it represents with its color, raw sensations, and visually appealing designs. Having a work of abstract art can also serve a design purpose. Visit your local gallery for exceptional pieces that you can purchase for your home. 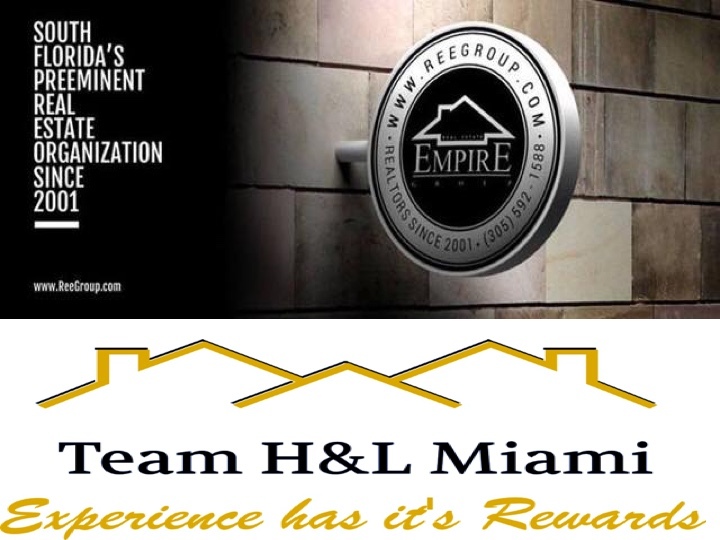 Team H&L Miami @ Real Estate Empire Group is a fast growing boutique Real Estate firm established in 2001. It began to revolutionize property sales as well as marketing through brokers, agents, and an administrative team. Our highly trained administration team ensures the best service possible and helps manage transactions efficiently across a spectrum of properties, prices, and sales including international transactions. Our office provides agents an opportunity to grow with market-leading training and unique tools devoted to growth and expansion. We are based in Doral, FL placing us at the center of Miami’s fast-growing International market. Our wide-ranging model combines various technologies; efficient support system and leadership initiatives that help agents govern sales in a superior form while gaining a threshold as a Real Estate agent. We at Real Estate Empire Group provide to ensure excellence in every aspect of Real Estate. We look forward to helping find your DREAM HOME. Real Estate Empire Group, Inc.